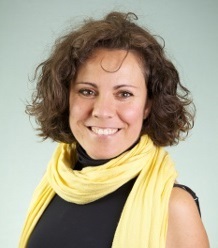 Dr. Inma Adarves-Yorno is a mindfulness TED speaker, researcher, and trainer. She has witnessed the transformational power of mindfulness when aligned with a meaningful social identity. In this talk, Inma tells the fascinating story of the successes and failures of a mindfulness movement in Kenyan prisons. “Prisons and hospitals have something in common in Kenya: you never know when you are going to end up in one”. The conditions in Kenyan prisons are very poor. The first part of Inma’s story will focus on the largest maximum security prison where the ingenious mindful leadership programme was born: inmates were transformed onto mindful leaders. She will also talk about disappointing long term impact in a female prison, where ‘mindful screaming’ was born and a seemly great failure in the worst prison in Kenya. Inma details how mindfulness is now moving beyond prisons walls to elsewhere in Kenyan society. Dr. Adarves-Yorno is a mindfulness TEDx speaker, researcher, practitioner and trainer. She has engaged into a deep exploration of paradoxes and contradictions of human beings. Over the last ten years she has studied and developed the next generation of authentic change agents. She has witnessed the transformational power of mindfulness when aligned with a meaningful social identity. In this Kenyan project Inma and many others are leading a mindfulness movement.